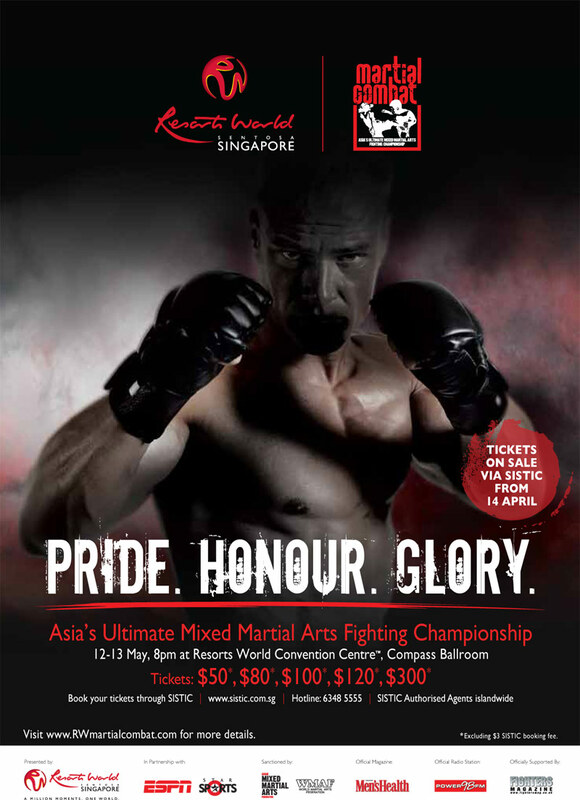 Tiger Muay Thai and MMA Training Camp, Phuket, Thailand will have three representatives at the inaugural “Martial Combat” event being held on Sentosa Island- Singapore. This event is being promoted by ESPN STAR SPORTS and will have a broadcast of over 310 million viewers in 24 different countries. Assistant MMA Instructor Wiktor Svennson of Sweden. Wiktor has a 1-0 pro record in MMA, winning his super fight bout in the Taiwan Mixed Martial Arts Championship earlier last year. Wiktor has been at TMT for over 2 years and is a BJJ Blue Belt under Professor Tony Eduardo. Undefeated in 6 Pro Muay Thai bouts, Wiktor will have his hands full when he faces M-1 Challenge (Russia) and HEAT (Japan) veteran Seung Hyun Choi of Korea. Thailand’s first professional MMA fighter Ngoo Ditty who is a BJJ Blue Belt under Head MMA coach Ray Elbe will be facing an undefeated Filipino prospect named Kevin Bellington. Bellington 4-0 in MMA is a former Sanda World Champion. Also fighting for Tiger Muay Thai will be “Team Quest” fighter David Gardner, a K-1 (Sweden), DREAM (Japan), and former Gladiator Challenge LW Champion, he is being showcased against Doo Jae Jung of Korea. Gardner a veteran of over 35 fights will have his hands full against the 11-2 Korean.